So happy to have Rachael, or Ms.Carnivale on Instagram, doing a guest post on Cutting Out and Sewing the Skirt for the Sewalong! Thanks Rach! Right shall we get stuck in? So by now you've cut out your paper pattern, washed your fabric, and ironed both ready to start. You've also bought, or are planning to buy thread, a zip/snaps, and relevant shoulder padding. (A quick note on shoulder padding - if you are using sheer fabric, the pattern tells you to buy organdy which is light and stiff; if you aren't using sheer fabric, buy wadding which you can either use single thickness or doubled up to create the shoulder pads). Now you need a large-ish flat space to put your fabric down and pattern pieces on top of it. Using the floor works, but ideally for your back, use a large dining table (or even better, a higher raised table). There are diagrams for the most efficient use of cutting the fabric in the pattern instructions, but for now we'll be rebels and go our own way (I never have enough space to cut everything out per the instructions). What you need to do now before cutting anything though, is ensure you definitely have enough fabric! Have a look at the size of your pieces and your fabric, place some out roughly, check, check, and check again! These instructions are the same for both making a muslin to assess fit, and for your final fashion fabric. 1. Fold your fabric so the selvedges are together and the cut edges are at the top and bottom. Place this on a nice flat surface. 2. I put my fabric face up so I can see any pattern, and I generally put the pattern pieces face up too. It just helps to see everything. 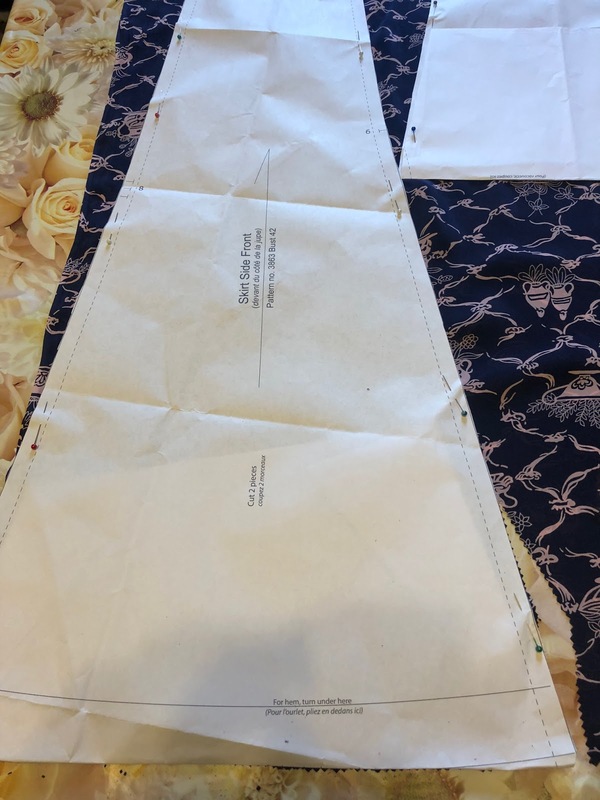 Just be aware that if you are singly cutting one of "cut 2" pieces, that for the second one, the pattern piece needs to be a mirror of the first, so put it face down. 4. Starting with your biggest/most important patterns pieces (I suggest the skirt front) place on the fold of fabric. 5. Use pins or weights to lock this first piece in place. 6. Remove cat/dog/animal from fabric. Oh wait, that's probably just me. 7. 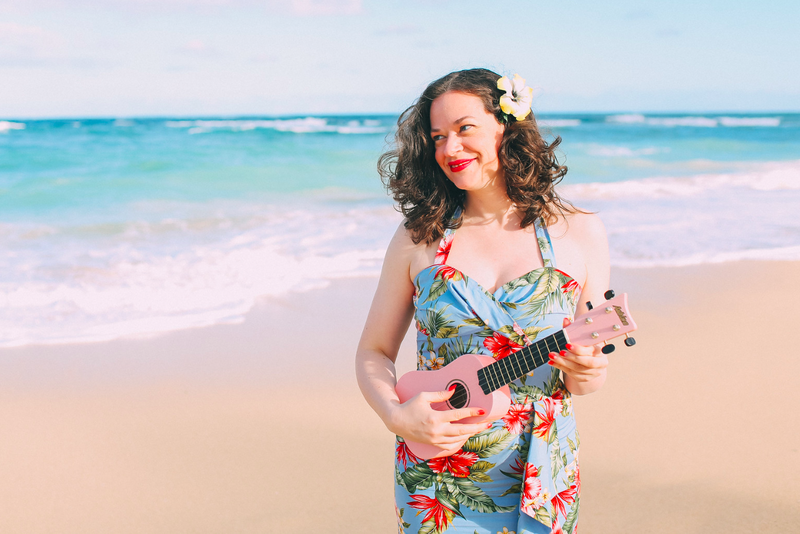 If your fabric has a pattern, you're gonna want to pay special attention to where everything is sitting - we've all seen the leggings with unfortunate pattern placement on the crotch... don't go there! 8. 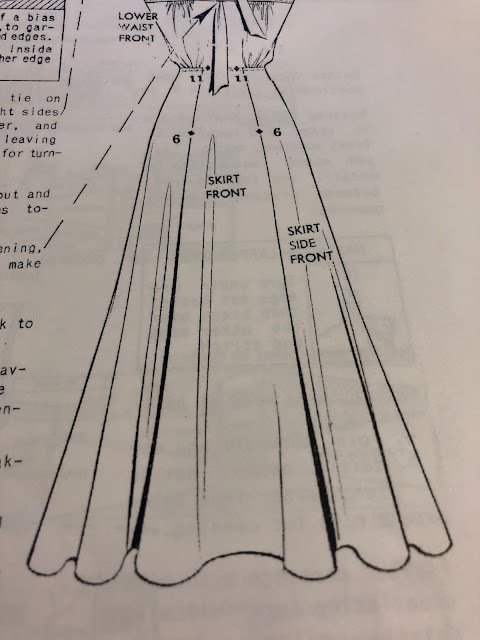 If you don't have an up/down to your fabric, then you can follow the guide where it says to put the skirt front side piece upside down next to the skirt front. 9. Generally it's fastest and easiest to cut out two of the "cut two" pieces at the same time. It means they are perfect mirrors of each other and it's faster. That's often why you have your fabric folded over, as well as the pieces you need to do on the fold. But if you don't have the space/have very narrow fabric, you can absolutely cut one piece out at a time. a. Notches with a single/double/triple line as indicated. b. Where to gather fabric between e.g. use dots. c. A circle or dot to mark where the zip will go. d. What the piece is! I use F for front etc. Sometimes it's obvious, sometimes you may want help. 12. Usually I take away the pattern pieces at this time, but keep them handy to refer to. Beautiful, now we are ready to start sewing! 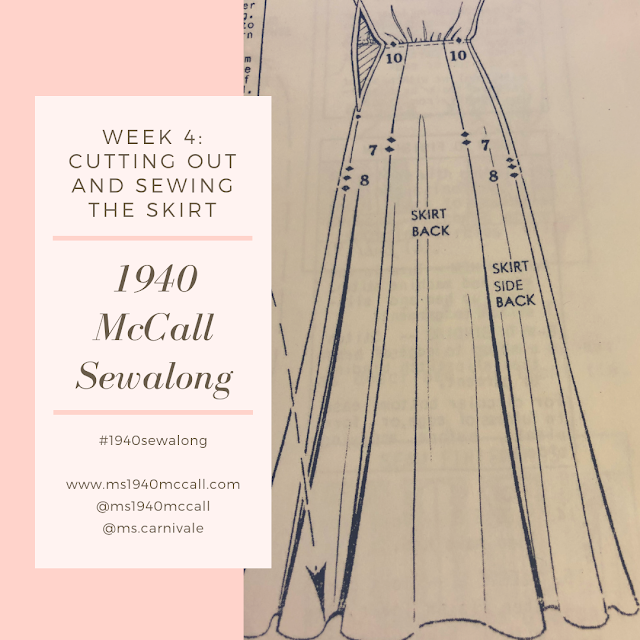 Although the pattern jumps in straight at the bodice, since we designed this sewalong for absolute beginners, I suggested to Debi that we actually start with the skirt, because it's nice long straight stitches. So let's start with the SKIRT FRONT and pick one of the SKIRT SIDE FRONTS to attach to it. 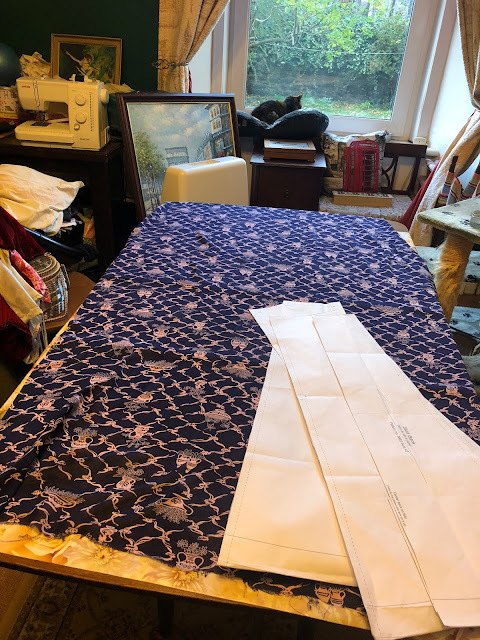 These instructions will be for fabric which we will leave a pinked/overlocked/zig zagged edge, rather than a French seam, although I'll talk about working with sheer fabrics on another occasion. 1. With the right side up of the SKIRT FRONT, put the right side of the SKIRT SIDE FRONT, down so we have right sides together and find the relevant notch (match a single notch with single, double with double, triple with triple), also known as 6 on this pattern. Pin the raw edge where the notches match. 2. Go up to the top of the pieces, do those edges match up nicely? If so, pin them together, working down to the notch. If they don't, move them around until they match up nicely. Check the other end, is one piece further up than it should be? Is your marking of the notch off etc etc. Just check it all out and pin that raw edge so it matches all the way down. 3. Incidentally, I pin at right angles to my fabric, as this is supposed to keep everything in place better. You do whatever feels right to you. But when you sew, you don't want to have the pin heads going into the needle before the sharp end - it makes them much harder to remove as you sew! 5. Check your stitch is at the right length (2 for me) and that the machine is straight stitch rather than zig zag. Place your fabric under the presser foot and at the correct seam allowance - for this pattern that's 1/2"
6. Sew a few stitches forward, then a couple backwards to lock them in, and then sew nice and even and straight all the way down the raw edge. Repeat the locking in of the stitches at the bottom. 7. Cut the thread tails. 8. Iron the seam flat. 11. Next! Get the other SKIRT SIDE FRONT and attach it to the SKIRT FRONT and repeat the above. Boom we have the front of the skirt! 12. Let's do the back - get the SKIRT BACK and with right sides together, attach a SKIRT SIDE BACK - matching the notch which is 7 on this pattern. Repeat the above sewing and pressing steps. 13. Do the same for the other SKIRT SIDE BACK. Boom we have the back of a skirt. 14. With right sides together, line up the FRONT and BACK of the skirt. On what will be the RIGHT side of the body - pin the whole edge, matching notches, which are 8 on this pattern. Sew and press as above. 15. One more edge and then we have a completed skirt!! Match the one remaining side, using notch 8. BUT this time, you will only sew to the circle marked on the side - because you need to put in a zip above that later. Sew and press as before. 16. Well done, you have a skirt now! The hem will be done much later, once we have allowed the dress to hang, as sometimes, particularly with fabric cut on the bias, the length will alter. Will the participants be writing in with their questions and comments? 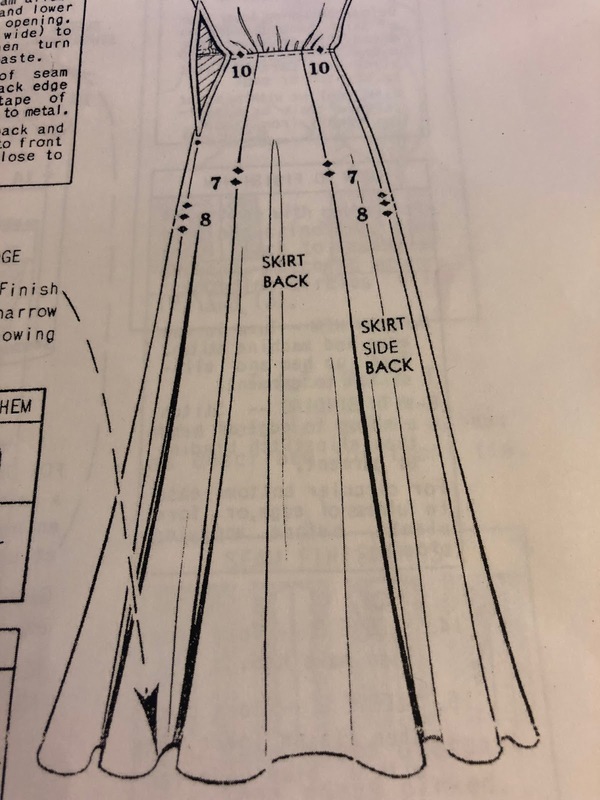 I cannot do this project along with your group, but the dress is very attractive and it would be interesting to hear about others' experiences in sewing it. Rachael, please say "Hello," to your cat! Thanks. Hi Annushka, it’s Rachael and I just wanted to answer your comments (My cat sends you a meow and purr). We have a Facebook group where you can see some of who else is part of the sewalong. It’s called 1940s Fashions Sewalong if you want to search for it! Thanks!